In Hawaii, burial methods have remained basically the same over the years. Modern-day residents have much the same options as those who lived long ago. 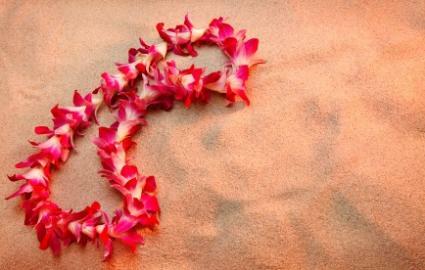 There are two types of Hawaiian burial methods from which to choose. Each has their own traditions to follow. Hawaii burial methods practiced in ancient times involved the body being buried in a cave. In some cases, the body was laid flat out, but in others, the person was placed in the cave with his or her knees drawn up to the chest. A rope was wrapped around the deceased person's legs and placed around the neck. The rope was then pulled tight to position the body into a rounded shape. It was then wrapped in tapa cloth (made from the bark of the paper mulberry tree) and prepared for burial. In some cases, the internal organs were removed and the body cavity was filled with salt as a preservative measure before burial. Sand dunes were also used as final resting places. A section of the sand dune located at Makahu'ena has been preserved to show respect for the people who once lived there. According to Hawaiian tradition, the bones of the dead were to be treated with respect, for they contained mana (divine power). When a king died, the skull, leg and arm bones were preserved; they would be well-guarded for the person who possessed the bones of an ancestor would benefit from the power contained in them. Burial at sea is yet another one of the Hawaiian burial methods used in ancient times. Bodies of deceased fishermen were wrapped in a red cloth, then placed in the ocean to be eaten by sharks. It was believed at the time that the essence or spirit of the recently-departed would inhabit the shark's body and protect the fishermen from future attacks. After the service, the body, which is usually in a casket, is buried in the ground. According to Hawaiian tradition, the mourners wear brightly-colored garments. Black is not worn at the funeral. Family and friends of the person who died will eat dinner together that evening. In addition to sharing the meal, they will talk about the deceased person's life. Storytelling and laughter will be part of the event. A number of people in Hawaii choose cremation as a burial option. Once the body has been reduced to ashes, the family can have them placed in an urn. The urn may be buried, placed in a mausoleum or retained by the family and placed in the home. After cremation, the ashes may also be scattered on land or water. In Hawaii, there aren't any regulations restricting where a deceased person's ashes may be scattered. It is recommended, however, that permission be obtained in advance if the ashes are to be scattered over private property. The ashes may also be scattered at sea or released into the air, if desired. Members of the military who were serving on the USS Arizona at Pearl Harbor on December 7, 1941 are eligible to be buried with their shipmates at the USS Arizona Memorial. Following the traditional military service with a 21-gun salute, folded flag and the sound of Taps played on a bugle, the serviceman's cremated remains are placed in the ship itself. Another option for those wishing to be buried at this location is to have the ashes scattered in the water over the memorial. Over time, Hawaii burial methods have changed very little. The person who opts for an earth or sea burial is continuing to observe a very long-standing tradition.